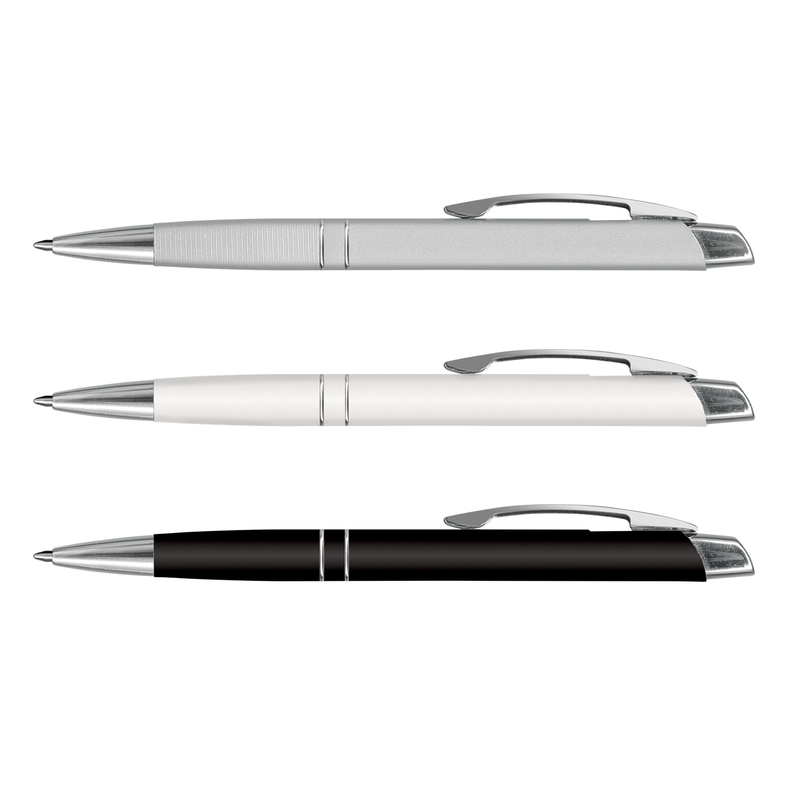 A smart metal pen available in 3 different colours. 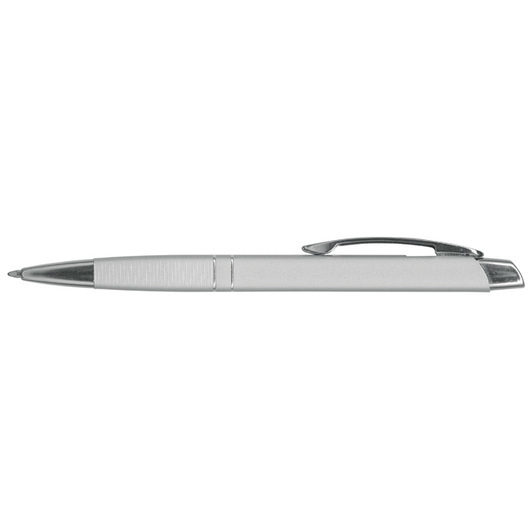 Showing both style and class these retractable aluminium ball pens feature a lacquered barrel and shiny chrome accents. 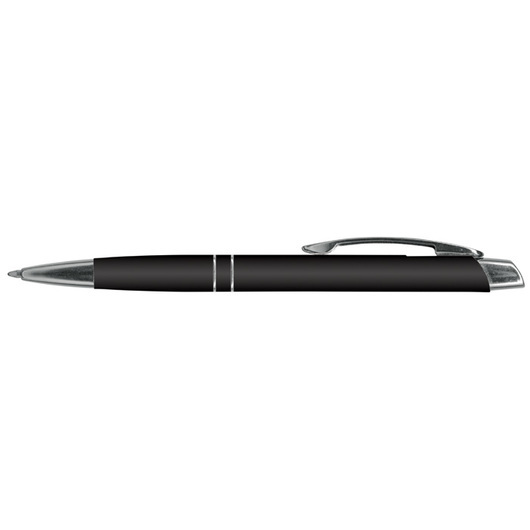 They host 800m of black writing ink and can be laser engraved to an oxidised white colour. 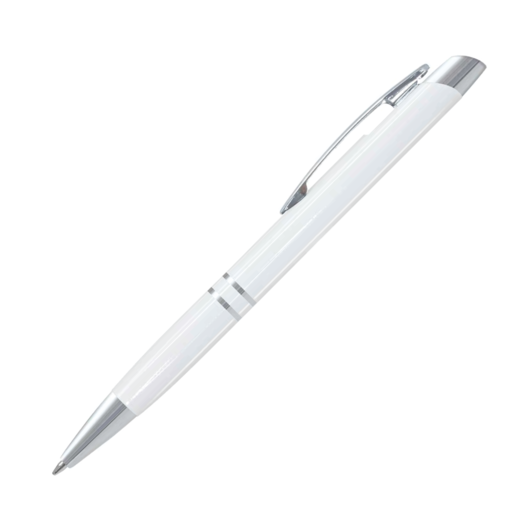 Available with an optional velvet sleeve or gift box for an additional cost, contact us about pricing.